Loans and grants totaling about US$42.4 million are being extended to Engurhesi Ltd to complete Phase IV of the rehabilitation and modernization project at its 1,250-MW Enguri hydropower plant on Enguri River in Georgia. 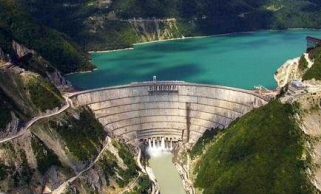 Engurhesi is the state-owned company responsible for operating the Enguri hydropower plant and the 245-MW Vardnili hydroelectric cascade, which consists of the 125-MW Vardnili 1 and Vardnili 2, 3, and 4, each 40 MW. Early last year, HydroWorld.com reported Georgia’s Ministry of Energy temporarily stopped generation at the Enguri plant for two weeks beginning Feb. 19 to identify headrace tunnel leaks in planning for Phase IV rehabilitation. Phase IV money will also finance work on dam spillway gates at Vardnili 2 and the Enguri River diversion weir and access road. The work is in combination with the government of Georgia implementing a sedimentation management plan and improving operational procedures to promote resilience to climatic variability and climate change. According to a Jan. 10 release from European Bank for Reconstruction and Development (EBRD), it is providing a $33.5 million loan for the project supported by grants from two additional international agencies. European Union Neighborhood Investment Facility (EU NIF) is contributing an $8.4 million grant and Austrian DRIVE fund is providing a $538,000 technical cooperation grant to support the establishment of a river basin-wide coordination initiative and assist Georgia in implementing EU standards. The Enguri project was built in the 1970s but has been poorly maintained and operated at a reduced capacity after a period of civil war in the 1990s until rehabilitation efforts began in the mid-2000s. EBRD said beginning in 1998, it financed the first three phases of rehabilitation providing $71.2 million that helped upgrade Enguri’s five units, which increased the plant’s operational capacity. Power generated from Enguri River basin flow supplies 40% of Georgia’s electricity and significantly contributes to the country’s economic development and energy security. The project has been registered under the Kyoto Protocol’s Clean Development Mechanism since January 2013, generating carbon credits that can be traded on carbon markets with businesses and governments that are close to exceeding their greenhouse gas emission quotas.